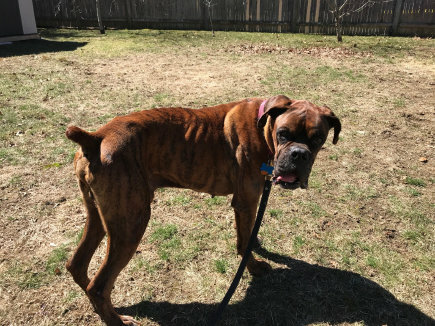 The Boxer Rescue is dedicated to rescuing Boxer dogs in need. We provide breed information, rescue education, adoption information, foster information and much more to Boxer owners and to those that can no longer care for their dogs. We are their "voice" and we are committed to telling their story, by educating the public on rescue programs and raising awareness of the Boxer breed. We do this through awareness days and attending events throughout the year, so please check out our calendar of events and take some time out to come meet our volunteers and learn more about rescue. The Boxer is on the top 10 list of most popular breeds in the New England area. With that said, each year there are hundreds of boxers that are dropped off at shelters. Some are abandoned to roam the streets, some are severly neglected and abused; and sadly, some are euthanized. A large part of this is because the public is not educated on the resources that are available to them. Our program is devoted to raising awareness among the public by holding in-store events at local pet stores and retailers and raising awareness through events and fundraising. Please help us spread the word.